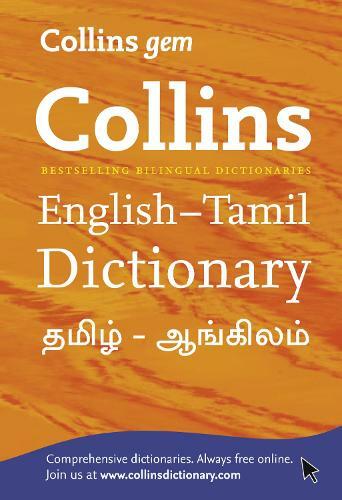 An English to Tamil and Tamil to English Dictionary with up-to-date coverage of Tamil and English in a compact, portable format. This dictionary is designed for all levels of user working with Tamil and English, whether at home, at school, or at work. It is the ideal dictionary for anyone who needs translation help in a handy, portable format. Contains all the everyday words and phrases used in today's Tamil and English that you will need to know. * An easy-to-use and reliable dictionary.